Commissioned by creative directors Rhonda Rubinstein and David Peters, the house was designed with the renown architect – and Kingsburg neighbour – Brian MacKay-Lyons. Its simplicity and unexpected placement on an eight-degree slope play upon the viewer’s perceptions and led to its name: Sliding House. The cool exterior opens up to reveal a serene interior finished entirely in warm poplar hardwood. The window band that extends along the entire southern side floods the main floor with light and maximizes the view to Romkey Pond and Hirtle’s Beach, a spectacular three-mile-long strand that’s just a short hike away or a few minutes by car. Since its completion, the 1,700 sq-ft residence has attracted considerable attention, most recently in Dwell magazine (Jan-Feb 2017), the Italian design magazine Interni, and the Dutch magazine Villas, as well as earning the Lieutenant Governor’s Award for Architecture. It features a generously sized master bedroom, fully equipped kitchen, enclosed fireplace, flatscreen TV & DVD player, and wireless Internet access. The house sleeps four, making it ideal for a couple or small families, but no pets please. Upper Kingsburg is a 90-minute drive from Halifax International Airport (YHZ); the town of Lunenburg – a UNESCO World Heritage Site – is just 15 minutes away. 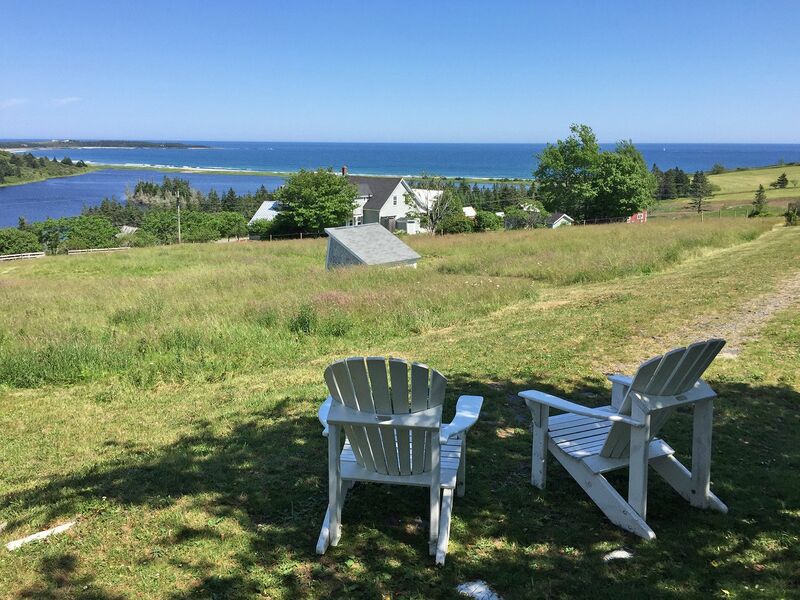 This is a great location for beach walks, ocean swims, river sailing, hiking, music and craft festivals, fine dining, star gazing, golfing, horseback riding, vineyard tours...or just relaxing! 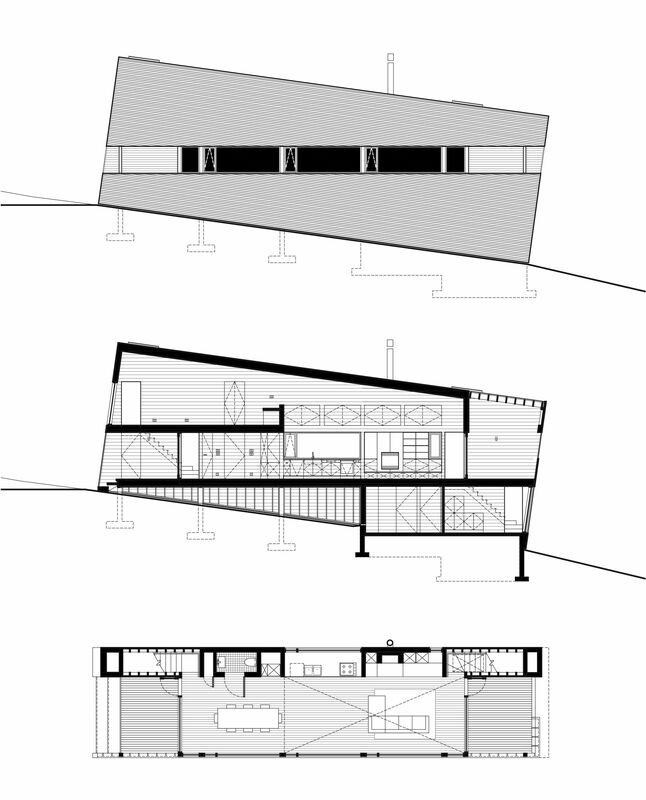 Technical drawings of Sliding House by MacKay-Lyons Sweetapple Architects. 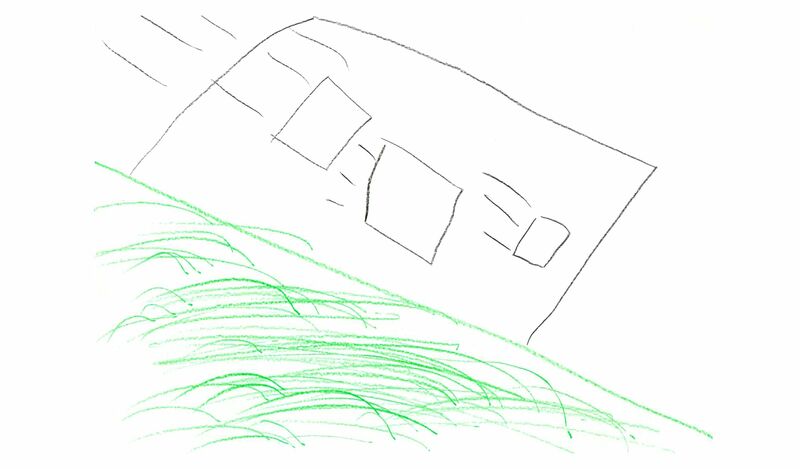 One of many drawings by visitors who were inspired by Sliding House.